Camberley, Surrey, London Road circa 1912. 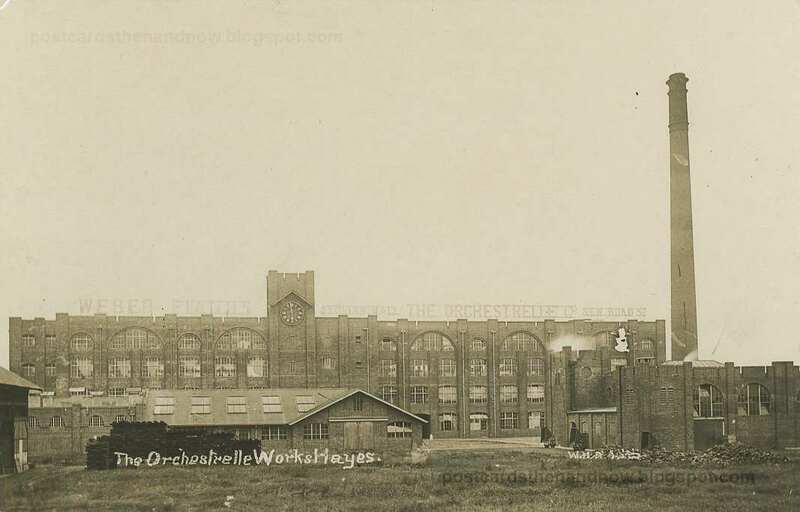 These two postcards by W. H. Applebee of Ashford were taken from approximately the same vantage point, but looking in different directions. In the first postcard, WHA712, we are looking south-west. It is interesting to note that the oldest looking building in the modern Google Street View, the half-timbered 'Old Thai House' is actually the most modern, it did not exist in that form a hundred years ago. 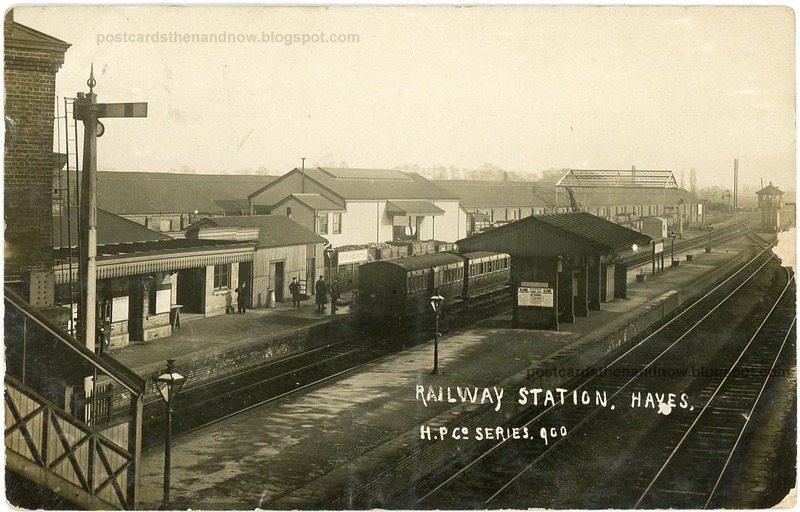 In the second postcard, WHA1332, we are looking north-east. 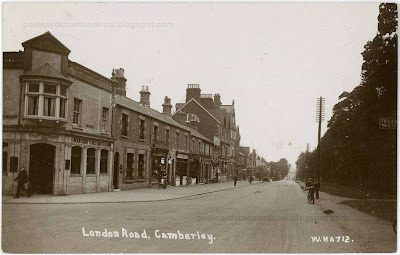 The Cambridge Hotel is still there, but has changed quite a lot. The Google Street View shows it as a bar called RSVP, though I believe that this has closed down now. Click the postcards to enlarge. 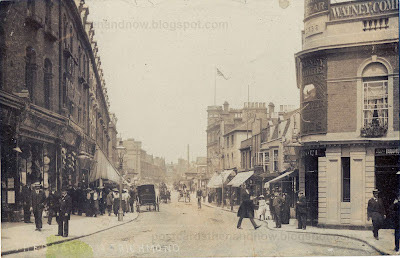 Richmond, Surrey, The Quadrant circa 1905. This postcard was photographed and published by Frank George Case, of Richmond, Surrey, in about 1905. Frank George Case (b1856-d1937) lived most of his life in Richmond with his sister Annie and his brother Herbert. None of them ever married. This is one of his many postcards of Richmond. Most were cheaply printed lithographs by Morgan and Kidd, but this is one of his rarer real photo postcards. 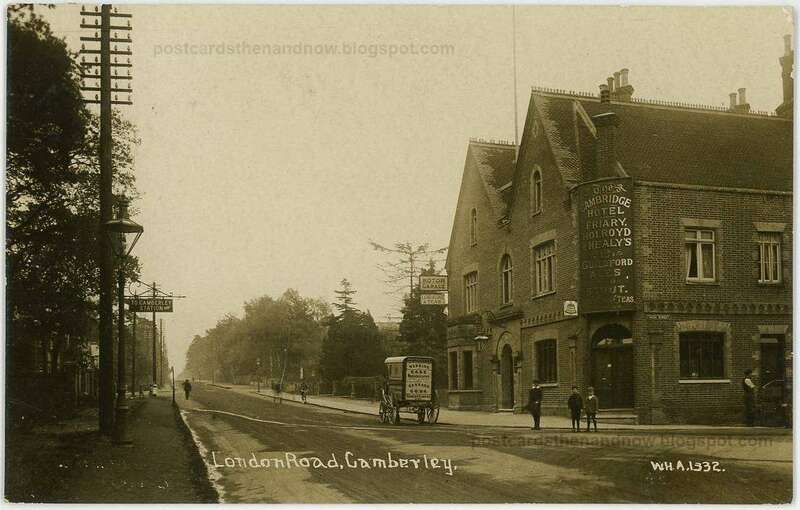 On the right we can see the Brown Bear pub. On the Google Streetview it is a branch of Next clothes store, but that recently closed down and the Brown Bear is now a branch of Robert Dyas hardware stores. In this busy scene a man with a top hat is crossing the road and there are many people going about their daily business. Click on the postcard to enlarge (300dpi). Staines, Middlesex, The High Street 1933, showing the Majestic Theatre. The films being shown are 'The Blarney Stone' and 'Topaz' both of which came out in 1933. The cinema has been replaced in the Google Street View by 'Majestic House', but this has recently been demolished too, along with the old post office next door. Postcard by Charles Mitchell of Hampton. Click the postcard to enlarge. 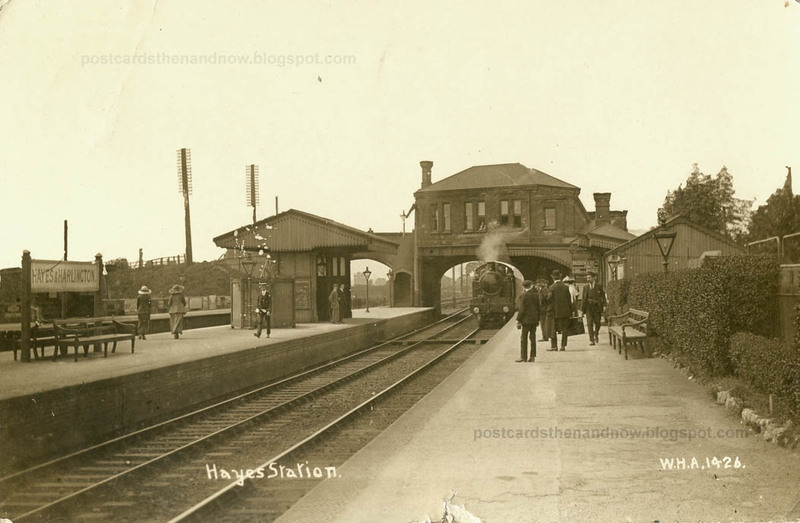 Hayes, Middlesex, The Station circa 1914. Hayes changed very rapidly from a quiet village to a thriving factory town in the first decade of the twentieth century. 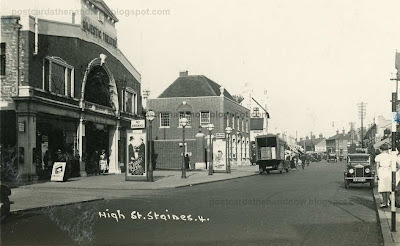 Postcards of Hayes from this time have an almost 'Wild West' feel to them, it looks like a big town has sprung from nowhere. The station was very important for Hayes's rapid expansion, being on the main line to the South West. 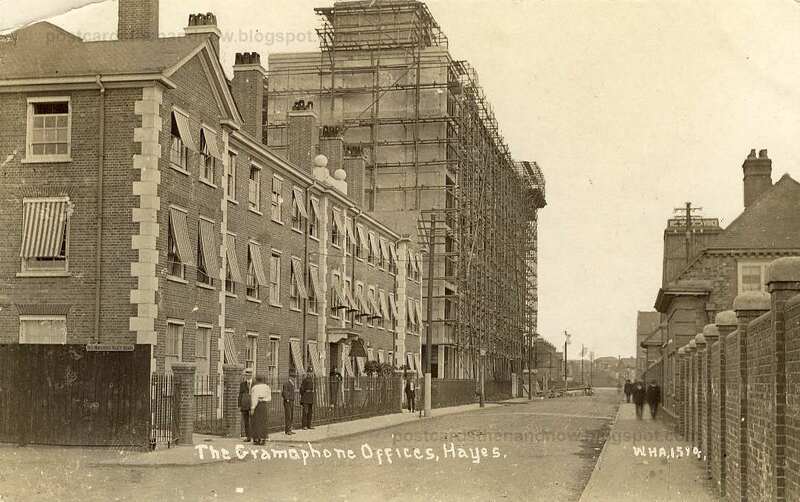 Hayes is still a hub of industry, though the big companies like Nestlé and EMI (HMV) have recently moved out. 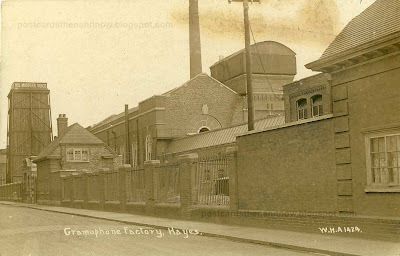 I worked in Hayes in the 1980s for a company that made equipment for the aviation industry. Some of the EMI buildings still survive, but the other industrial buildings have gone. Hayes station is very ugly now. 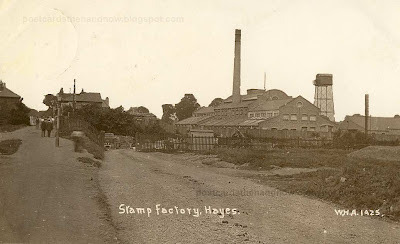 Postcards by W. H. Applebee of Ashford, Middlesex and H. P. Co. My research so far into H. P. Co has been very frustrating to say the least - they produced beautiful real photo postcards of Hounslow, Heston, Hayes and Cranford for a very short period (c1914), but left no clues on their postcards as to who they were. Postcards by W. H. Applebee are well known (at least they are to me). This week's Sepia Saturday blog is about trains (or model trains), why not take a look. Click the postcards below to enlarge. 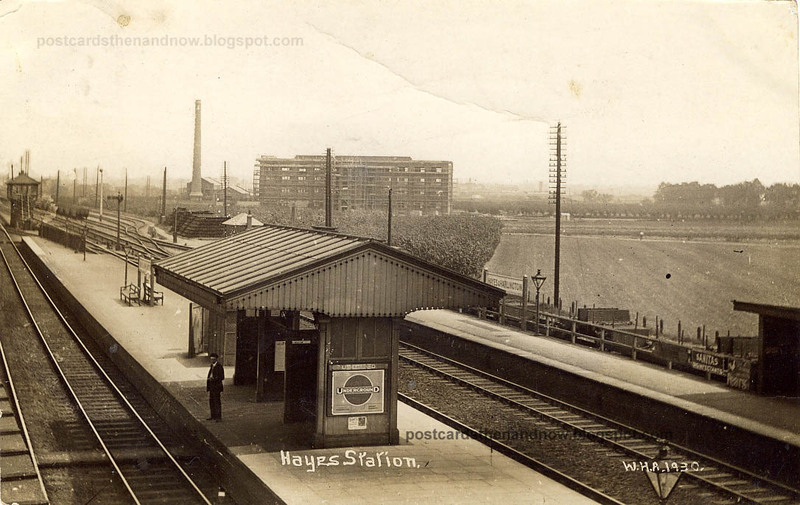 No 'now' pictures for this post - Google Street View does show the area near Hayes station but it is too difficult to match up with any of these postcards. If you want to have a wander around this area in Google Street View click this link. 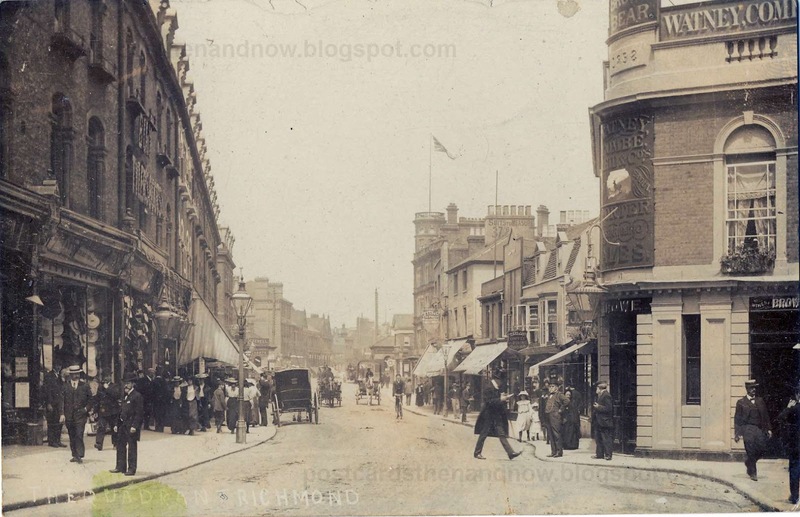 Hungerford, Berkshire, Hocktide Festival 1912. 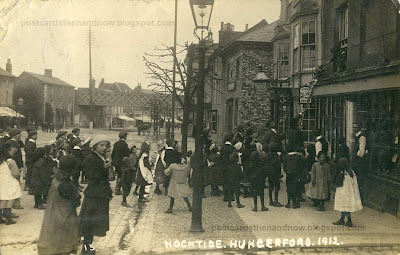 Hungerford, Berkshire, Hocktide Festival 1912. 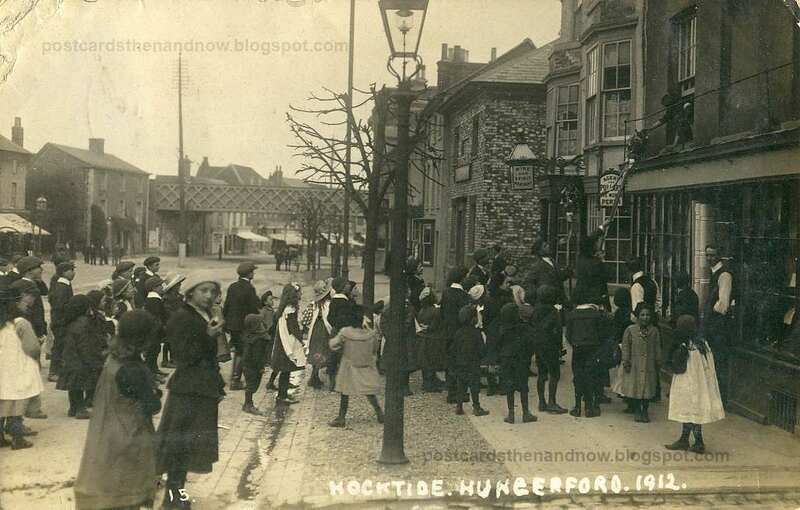 The Hocktide Festival is now only practised in Hungerford. This medieval festival was once common in English until the 18th century. The second Tuesday after Easter Sunday is known as Tutti Day and all sorts of strange festivities occur. This year it was held on the 17th of April. This postcard was apparently photographed or published by 'A. Barratt, Press Photographer, Fleet Street, London'. Click the postcard to enlarge.